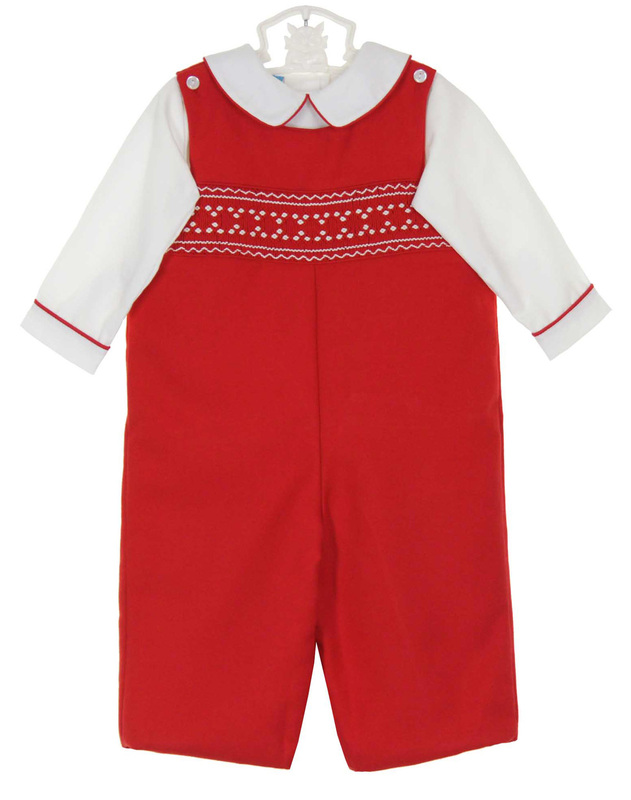 This sweet red twill longall set is made by Anavini, a leading manufacturer of classic smocked children's clothing. 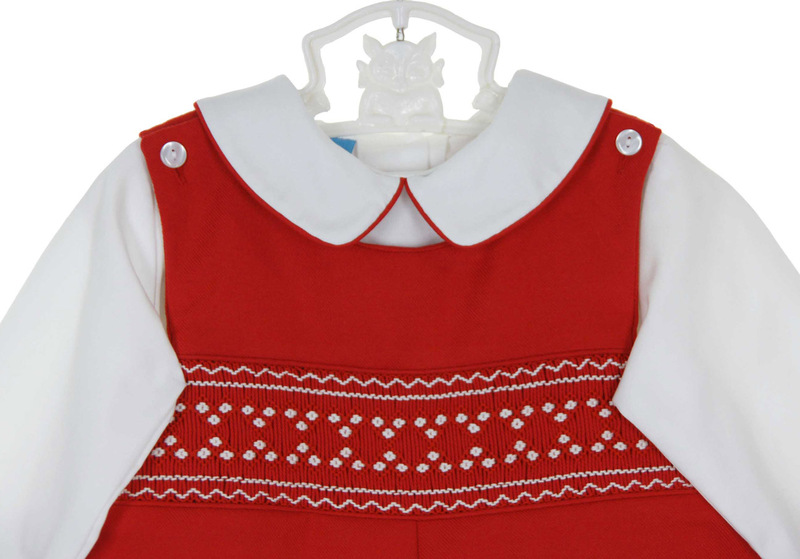 Perfect for Christmas, the longall has a row of smocking on the chest embroidered in white. Fully lined, the longall has buttoned shoulders and a buttoned crotch. The matching long sleeved white shirt is trimmed with red piping and has a back buttoned closure. 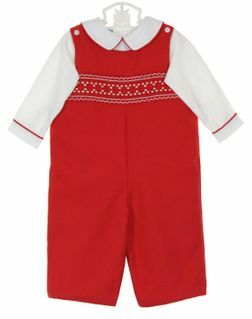 What a darling Christmas outfit for your baby boy! Matching smocked dress is also available. See below.